Astounding. I listened to the excellent Audible version with Ezra Knight reading Black and Austin Pendleton reading White. It is like reading a stage play and made me go get the faithful to the book movie version which has Samuel L Jackson and Tommy Lee Jones teaming up with Jones directing with which it compares very favourably. 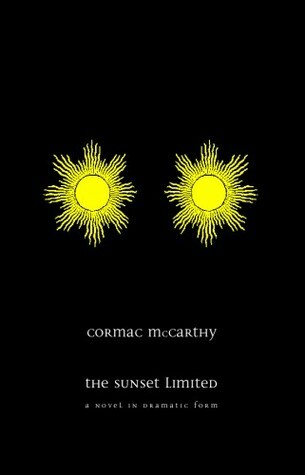 What struck me about the writing was the way McCarthy's dialog beautifully creates a realistic intimate atmosphere between the two men who discuss the meaning of life after Black has stopped White from suicide on the station platform that morning. Their two perspectives are the result of differences in their race, their class, their educational background, their belief and non belief, their life experience as ex-con v professor, their attitude of eternal hope v despair and cynicism. Can Black save White? Can Black understand White's view? Can Black convince White? They hear each other out, but Black cannot stop White heading out to his date with death leaving Black still believing, till intending to be there for White on the station platform again tomorrow but asking his God "why didn't you give me the words?" It leaves the reader wondering if they are two sides of the one persona, perhaps even America itself. Footnote: I researched the train name and found that The Sunset Limited was a transcontinental train that crossed the American south from Atlantic to Pacific.